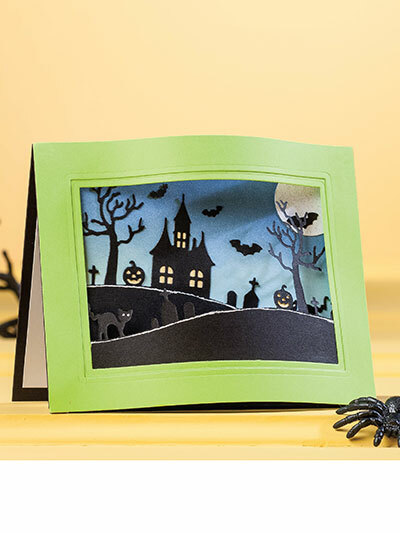 Create this wonderfully spooky scene using die cuts and stamps. Your friends will love the detail put into this handmade card. No materials are included in the purchase of this pattern. Size: 5 3/8" x 4 1/4"